For many years now, the Lindvig family in Georgia has been supplying Danes and friends around the USA with Danish chocolate, licorice, marmalades, bread items, remoulade, ketchup, cucumbers, beets, cheese, candies and more. They ship “Danish Quality Food” all over the USA through their company Nordisk Import and can be reached at www.nordiskimport.com or call 770-594-7524. Likewise, Nordic House in Berkeley, California has the largest selection of Scandinavian foods in the USA. 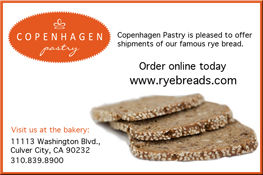 They ship anywhere and can be reached at www.nordichouse.com or call 1-800-854-6435.